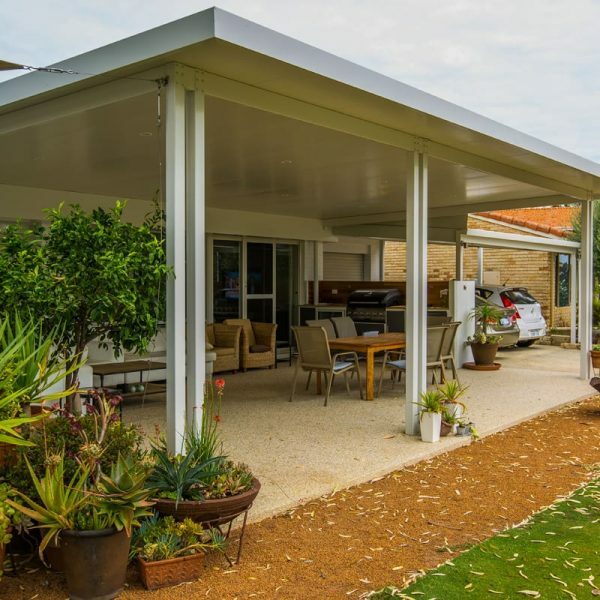 A flat roof patio can be used to extend the existing roof on your house, creating a seamless expansion of your outdoor living area. The sleek, clean design ties in well with lots of different house styles, and results in great flow for a home. It can be used over an entryway to improve the street-appeal of your home, or above walkways to create covered access paths. Flat roof patios can be designed and constructed to any size, so can be built over any section of your property. They are a cost-effective solution to create an alfresco entertaining area and add value to your home.